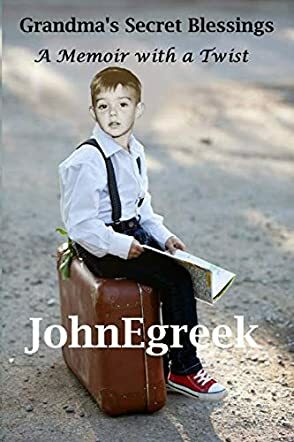 ‘A child needs a grandparent, anybody’s grandparent, to grow a little more securely into an unfamiliar world.’ In Grandma's Secret Blessings: A Memoir with a Twist by John JohnEgreek, readers learn of the author's journey that will make them believe strongly in affirmations, prayers, and visualizations. His simple story of love for his grandmother throws light on Greek traditions and family life, his heritage, and gives insights about the traumas he carried as part of his ancestral and cultural lineage. The memoir, written as a tribute to his grandmother, is about self-healing, freedom, creativity, hope, courage, sorrow, secret blessings, and inspiration. Yianni - as his grandma called him - offers a story about the highs and lows of his life, and the role his grandma played in shaping him to be the person he is. The book takes readers into the author’s life and the twists and turns and the turbulent childhood he went through while growing up. It is heartrending to read about the author’s childhood of growing up feeling his father’s hatred for him, and the scars left behind because of that. Child abuse can be traumatizing for a child and can manifest in many ways. It is positive to note the spiritual strength John shares with his grandma, who plays an important role in his life. It is encouraging for readers to see the way in which the author overcomes the adversities in his life and is transformed to become a better person. There are a lot of lessons for readers to learn from this memoir and it will make readers believe in the power of unconditional love.